We woke up on Wednesday morning and caught a train from Stratford to Oxford. 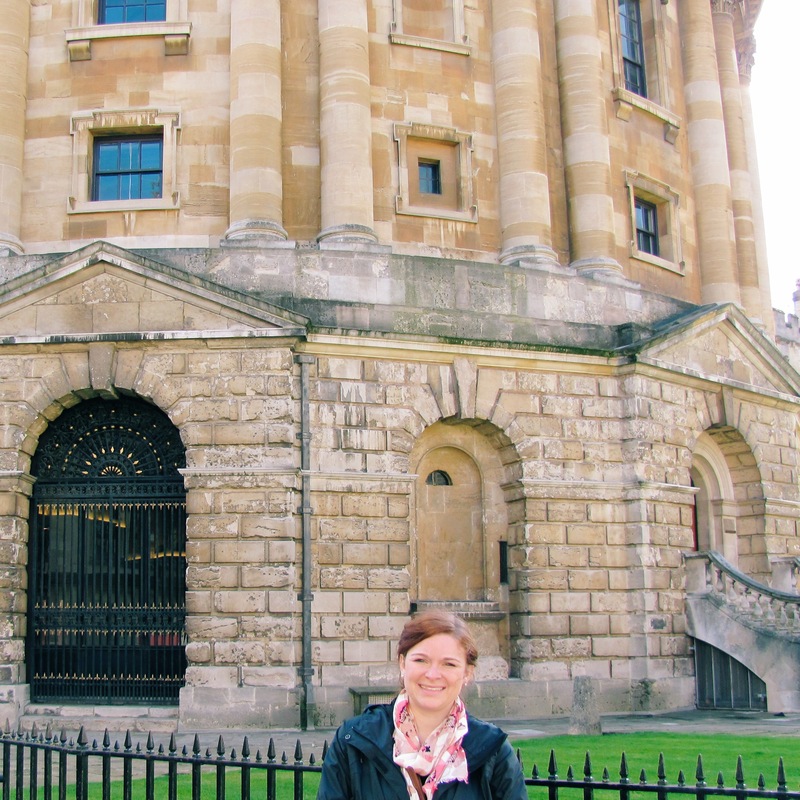 Oxford is a very special place for me, since I spent three months there studying during my time at Auburn. I was excited to see the place again after five years. We started off by leaving our bags at the tourist information center and heading over to visit the UGA house, where I lived during my study abroad. It looked just the same! After that we went back to the city center and spent some time in my favorite book store, Blackwell’s. It’s wonderful. There’s no telling how many books are piled up on shelves and in tables. It has multiple floors, but the most impressive level is the basement level, where you can visit the Norrington Room. The Norrington room is basically a giant room full of books. This picture doesn’t do it justice. I was standing in the middle of the room and I took this picture of just half of the floor. This is the level with books on science, theology, etc. Upstairs, on the third floor, is where you can find classic fiction. Basically, Blackwell’s is the best. If you’re headed to Oxford, it’s a must visit! From there, we went down to the covered market, which is such a neat place. There are florists, butchers, cafes, and more all in one area. We ate a quick pasty for lunch, which is a pastry filled with meat or other fillings. After the tour ended, we spent some more time walking around on our own. 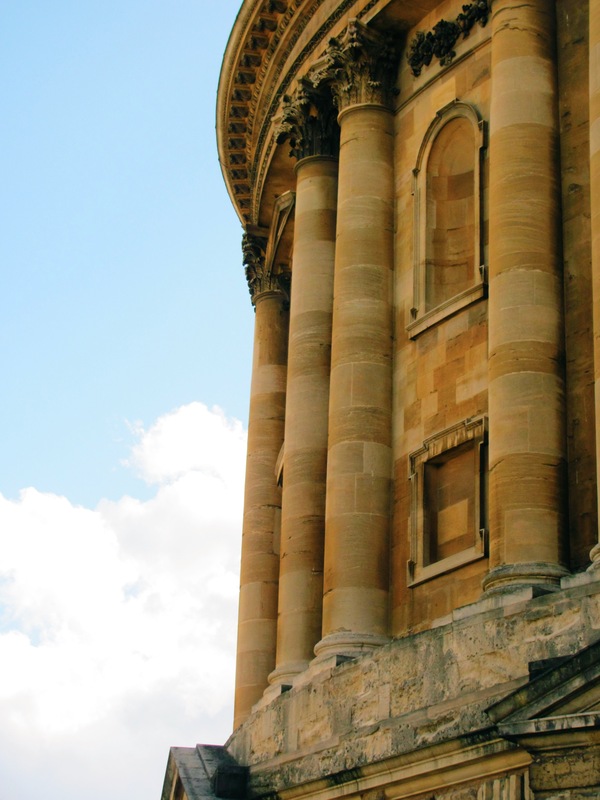 Oxford is really a beautiful town, and every time you turn a corner you stumble upon some other beautiful architecture or quaint pub. Speaking of pubs, we finished off the day by eating dinner at The Eagle and Child, the famous pub where the Inklings, with members like C.S. Lewis and J.R.R Tolkien, used to meet and discuss their work (and other things, I’m sure). They’ve fully embraced their claim to fame. While that mindset turned Stratford into a touristy spot, I think the Eagle and Child is a perfect example of a British Pub, and it has the added benefit of Lewis and Tolkien quotes adorning the walls. 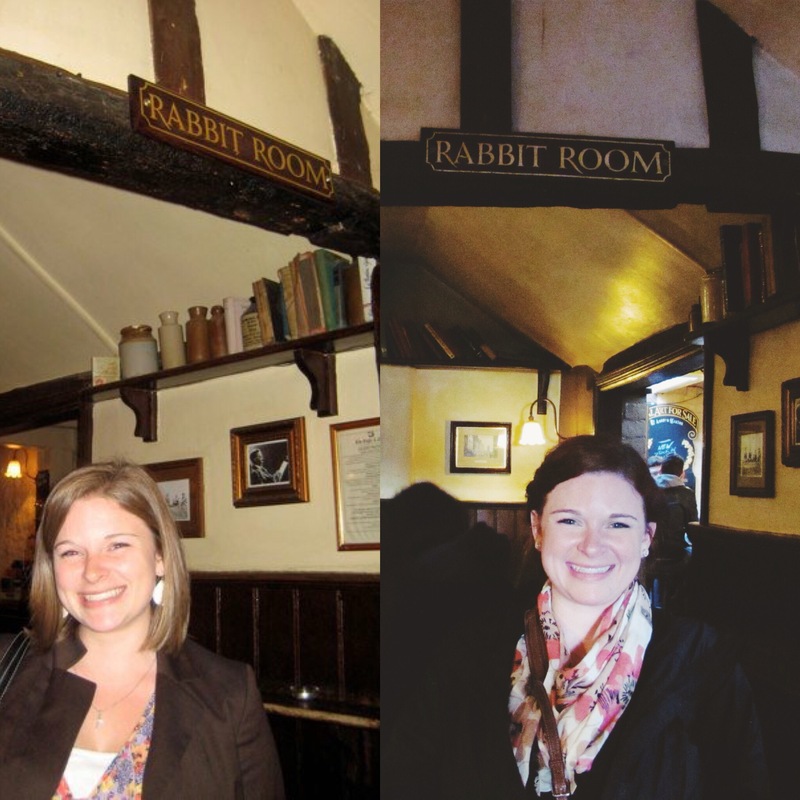 The room where the Inklings met is called the Rabbit Room, which is how Andrew Peterson’s online community got its name (www.rabbitrooom.com). 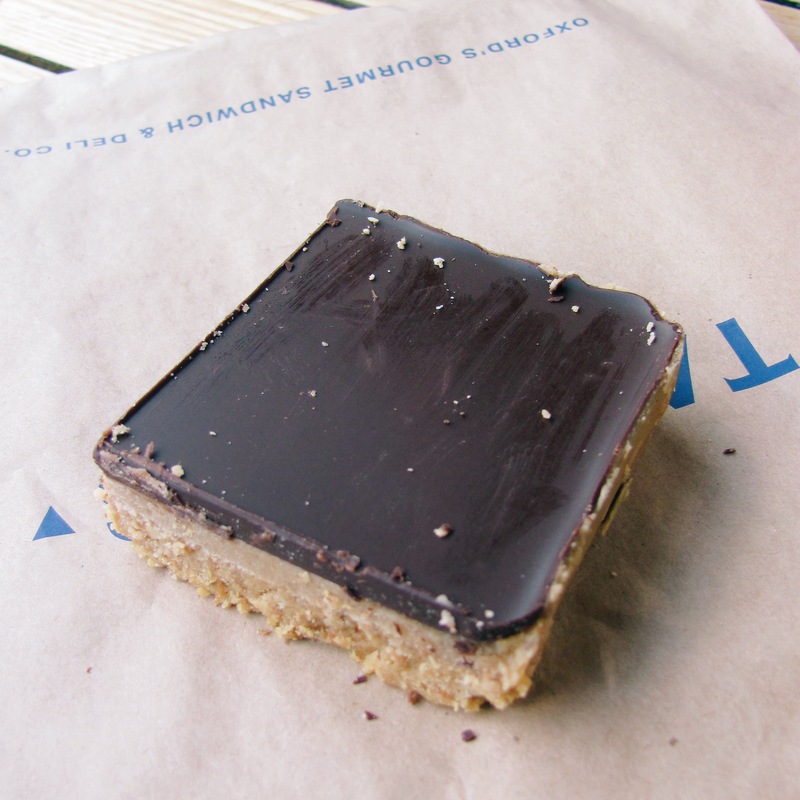 So technically The Eagle and Child wasn’t the last stop of the day–we had to go by Taylor’s to get a caramel square, another treat I highly recommend. All in all it was a really special day! It was neat to be back in a place I remember so fondly.